The digitalization of factory environments is giving manufacturers greater visibility of their production lines. Product inspection equipment such as metal detectors store lots of data to support this, but accessing this information and extrapolating it into something meaningful can be a challenge. Advances in manufacturing technologies such as cloud computing, increased automation and data exchange are allowing organizations to gain greater visibility of their industrial processes. With Industry 4.0 firmly making its mark within the manufacturing industry, the availability of smaller and more powerful sensors, in combination with high-speed network connectivity, has made it increasingly possible to gather, transmit and interpret data in real-time. This has led to the creation of smarter factories with improved productivity. 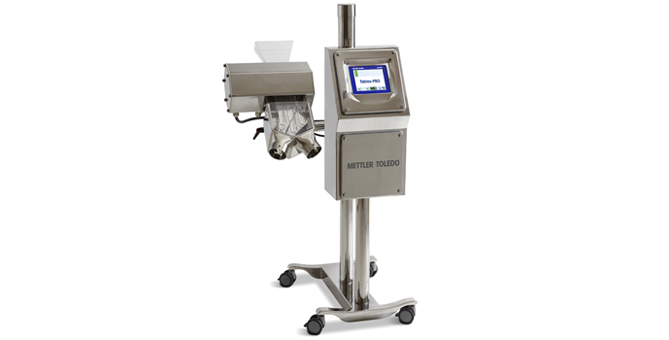 The latest Tablex-Pro metal detection systems from METTLER TOLEDO offer an Emulation option, which allows manufacturers to remotely access the metal detector's HMI from networked devices. This flexibility greatly improves productivity through easy and remote access – helping production plants to run more efficiently. Emulation allows operators to mirror the interface of one or multiple in-line metal detectors, by downloading a free of charge application onto a networked mobile phone, tablet or laptop. This means designated personnel can remotely monitor the status of the metal detector by logging in from an office, or even another site, and provides an extremely flexible method of data display. Accessing the data remotely provides additional safety benefits by reducing the need for line operators to access the metal detector directly, which are often installed in hazardous or inaccessible locations. Using Emulation, production managers can view any setting changes that have been made to the metal detector, and review access log statistics without having to be in front of the machine. It is even possible to control the metal detector from the remote device. This ensures consistent performance of the metal detector and provides enhanced productivity by allowing quality managers to pinpoint any sources of error or potential downtime immediately, without having to go to the metal detector directly. Emulation can also link to other integrated industrial machines such as de-dusters, making it easier to control multiple aspects of the production line from a single access point. METTLER TOLEDO Safeline metal detection systems provide the ultimate in flexibility and offer a high degree of customization for easy integration into any pharmaceutical manufacturing process regardless of the application.